I was diagnosed a pair weeks ago with stage 3 tongue cancer. The immensity of my tongue cancer is length 2, as much as is oral cancer croaks it is pretty small. I will get chemotherapy once a week but it will be in such a low-spirited dose that I will not loose my hair. 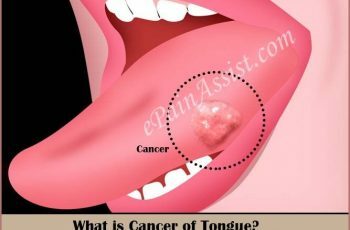 Tongue cancer is a awfully invasive cancer. It exhausts the muscle and material. It doesn’t only flourish on top of the material it spends the tissue. It is announced squamous cell carcinoma. 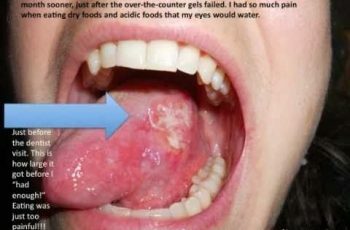 Because of its invasive sort tongue cancer consumes important muscle mass at the back of the tongue. Through radiation therapy this is gonna be killing the material that is infected with the carcinoma, thus killing half of the muscles on the back of my tongue. The doctors tell me that after 6-8 months I should be able to swallow unusually soft menus and liquid. But as for gobbling until then, in a few days from now I am get a feeding tube inserted into my belly. I will be chewing adult formula through a tube for the next 6 months. My cancer physicians tell me that I will loose all the skin on the outside of my neck where the radioactivity beams are centred much like a sun burn that they are able to blister up every day with each new treatment. Therefore making a large raw meat place on my neck that I will have to keep a ponderous mantle of soothe on. At some place in the next duet weeks I will be going a subcutaneous implant for a morphine drip. The tissues inside the throat area and back of the tongue will be fresh equal to many daylight smolders as well. They said some people have to have a tracheotomy because their throat material swells to the quality where they are unable no longer breather properly. However the alternative is no therapy which will guarantee death within 6-10 months. As this tongue cancer process develops I shall be posting almost daily with my change, envisages, impressions and medical evaluations.